The MV Agusta 750 roadster was developed as a racier alternative to the Italian firm’s twin carb, 600cc 4C touring model. MV was winning races and world championships at the time, but had no road offering that compared. 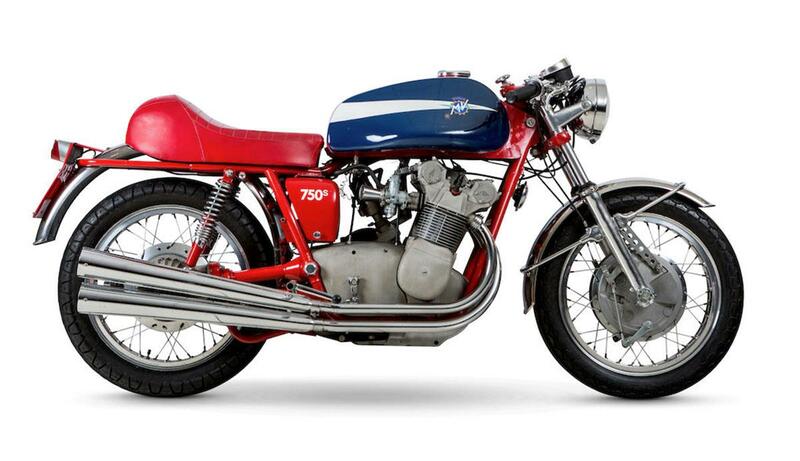 Just 402 examples of the 65bhp 750S were hand built using a 743cc quad carb engine in a 4C-esque frame. Strangely for a sports model, it also retained the 4C’s shaft drive. The 750S performed well for what was actually a pretty heavy bike, thanks to its racing heritage and that quad carb engine, but its exclusivity meant that it remained out of reach of the general public. "Built in late 1972 to 1973 specification, this 750S displays a believed-genuine total of only 7,892 miles on the odometer and is presented in beautiful condition. "The current vendor purchased the MV at Bonhams' Las Vegas auction in January 2016 (Lot 161) since when it has been kept on display and not used."